I have EXCITING couch news! It’s being delivered this afternoon so I will share it in next Sunday’s apartment update. I can’t wait for it to get here so that I have a proper place to sit and watch football this afternoon! GO PACK GO! I didn’t make a lot of progress on apartment stuff this past week. 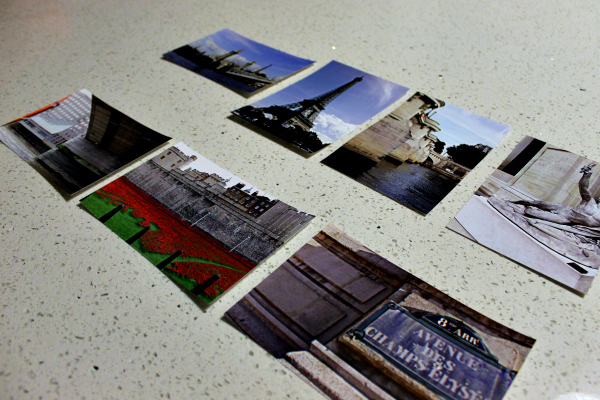 I did get small prints of all the pictures I want to have blown up into larger versions from our trip to Paris and London last fall. Large prints are actually quite expensive so I’m glad I had small ones done first because there are a couple I’ve realized aren’t going to work out. I’ll be getting the larger prints completed this coming week and then I just need to find the perfect frames. By next weekend I hope to have a better apartment update! I did hang one new thing up in the bedroom…. I think he looks so smug in that picture and it cracks me up! Not apartment related, but you may have noticed on Friday I updated all of my social media headers to a beautiful custom design made for me by the super talented Christine! 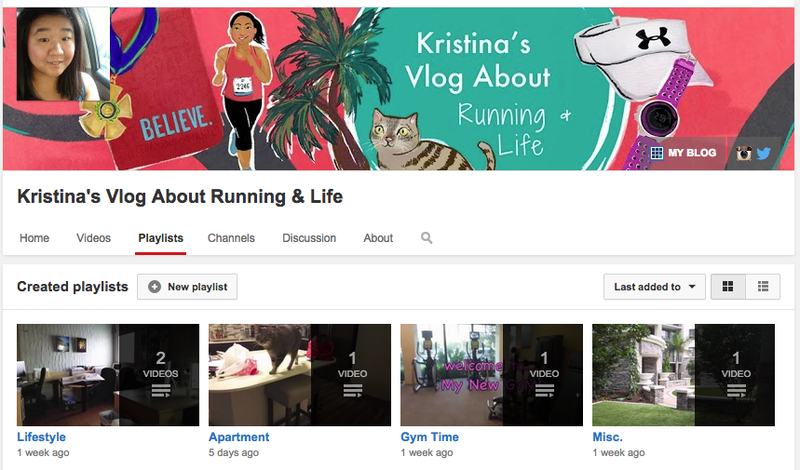 She created the YouTube vlog header you see above and also a regular blog version that I’ve uploaded to Twitter and Facebook. I am so impressed with Christine’s work. I literally just sent her the seven pictures below and she put them all together. The cost was $80 which was totally worth it because the end version is exactly what I wanted! If you ever want a cute, customized social media header or any other form of illustration definitely get in touch with her! Okay that’s my update for today…. I’ve got a 9-10 miler on the sched. for this morning and then it’s COUCH DELIVERY TIME! 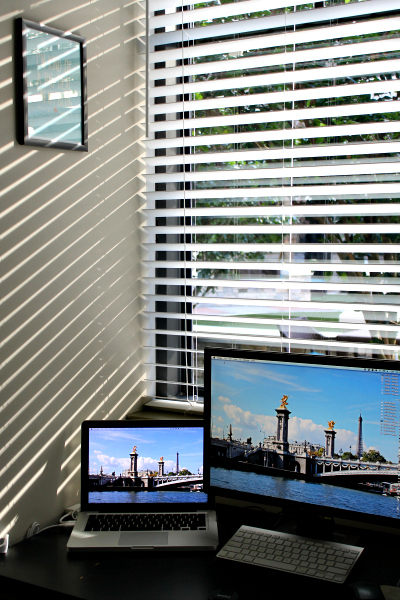 Any suggestion for places to get inexpensive but nice large sized picture frames? Previous Post Day in the Life Vlog #2 + Running at the Park! 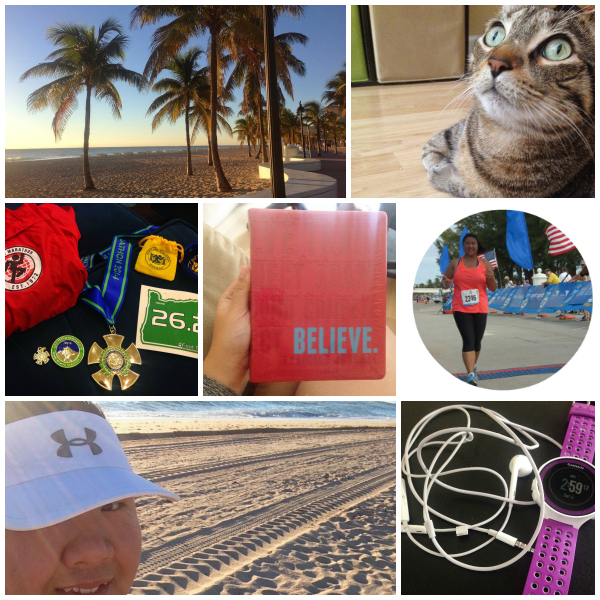 Next Post Weekend Running & Stuff! That is so awesome that you got a custom header! I love it! That’s really exciting about your couch- enjoy your run today and your football-watching! Having the couch here now makes it really feel like HOME! It really is!! Now I am on the hunt to find cute throw pillows … hopefully I can find ones as nice as yours! Ha! 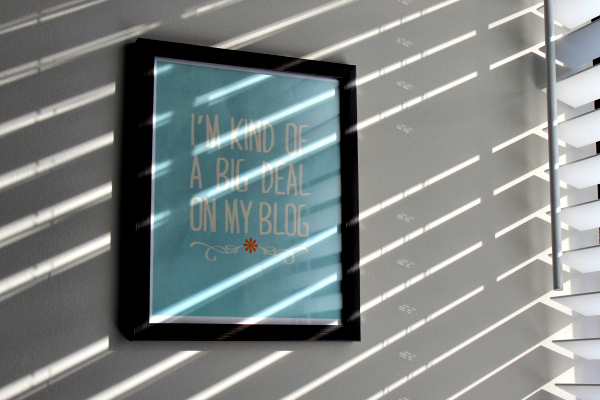 I love that blog picture in your bedroom! So cute! I think it’s from Etsy! You should order one! I love your new header. It totally encapsulates you! The “I’m kind of a big deal on my blog” pic is awesome! I need like a coffee mug or something with that phrase on it since I’m always drinking coffee while I blog. For inexpensive, big picture frames, check out places like Ross, Marshall’s and TJ MAxx. Also, Kohl’s has nice stuff and they are ALWAYS onsale (usually 50% off!) and of course you can also use Kohl’s coupons. I have been thinking about going to Ross, Marshall’s etc. but those stores stress me out because they feel so disorganized! I had not thought about Kohls, that is a great idea! Thank you! As soon as I got home from my long run I took a shower and have been parked on the couch ever since! Are you close to an IKEA? They have inexpensive frames. Can’t wait to see your couch! I am semi-close to Ikea … it’s about 45 mins away. My mom is coming to visit in a couple of weeks and we’re going to go, great idea to check there for frames! Love the header – so cute!!! Glad you put all of your social media links – I wasn’t following all of your stuff before. Hope your run was great today!! Enjoy your new couch – can’t wait to see it! It’s just your basic sectional, but I LOVE it because it’s soft …. and after not having a couch for two weeks I think I would have loved any old couch at this point! That header is SO CUTE!!!! Totally worth the $80! Thanks Bae! I am really surprised that she doesn’t charge more because I think she is really talented and good illustrators are hard to find! That “I’m a big deal” pic is hilarious! Love it! I think for Christmas this coming year I am going to send all of my fellow run bloggers the print, haha! I LOVE the “I’m kind of a big deal on my blog” suuuuper cute!!!!!!! Also love the header 🙂 very very nice! Just one week to go until we’re #MiamiFamous!!! Thank you! It’s my FAVORITE picture from the batch I took in Paris last year! I like TJ Maxx, etc, for picture frames. We have most of our wedding photos in large, ornate frames that were pretty cheap from places like that. I also go to Walgreens for frames. It’s crazy that 4×6 photos are $.26 and 5×7 or 8×10 cost like $2+ per photo! Yes! And what is even crazier if you want “poster” sized prints (over 20in wide) the cost is over $20! The jump in pricing from an 8×10 to the next size is just crazy! Can’t wait to see your couch! Wow, the way she put together all of the pictures you gave her is very impressive. 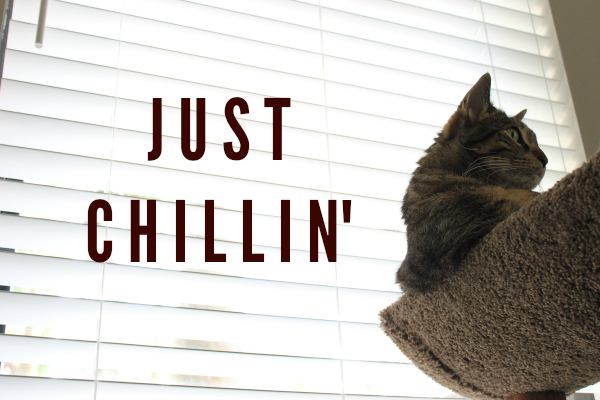 I have actually thought about changing my blog header and would consider using her for that! Yay for a new couch. I usually purchase picture frames at Michael’s (with a coupon) or Ikea.